Learn how to thank donors so well that they give again and give bigger! 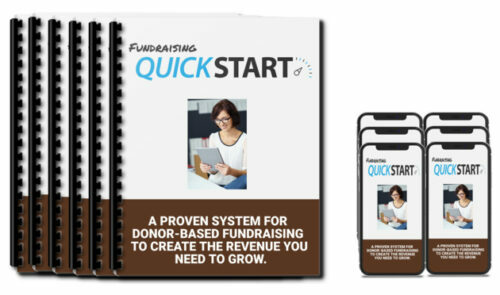 In this field guide, you’ll learn exactly what to say and when to say it so that your donors feel great about giving and can’t wait to do it again! Getting the donation isn’t the end of the fundraising process, it’s actually the beginning, and it starts with a powerful thank you letter followed by warm touches that surprise and delight your donor. If you’ve struggled trying to write a good thank you letter, you’re not alone, or if you’ve wondered if you should be sending your donors a small gift, you’re not alone. 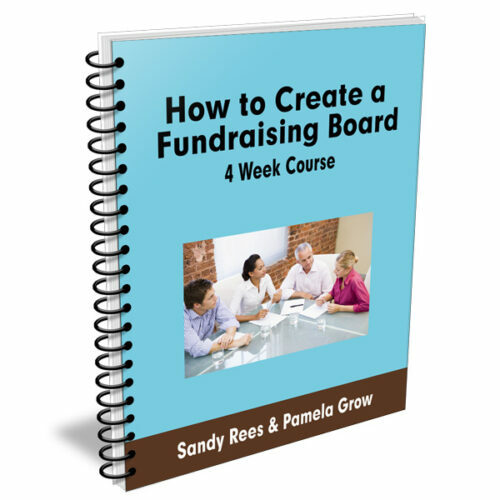 After this training, you’ll have a really good idea of how to thank your donors so well that they remember the experience for years to come. What you say and how you say it are critical to the success of your newsletter. Almost no one who raises money has any kind of training in writing. In this short video, I explain a very simple technique that will make your writing more interesting and connecting for your reader. Find out from the donor’s perspective what they want in a thank you letter. Use these tips to strengthen your thank you letter. Making it more interesting and fun to read. Generic thank you letters aren’t always appropriate. Learn which specific types of gifts you need a customized thank you letter for. 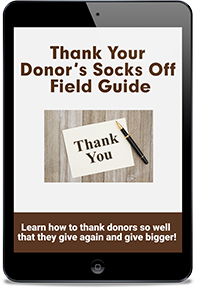 These small but mighty ebooks contain steps you can take to solve specific problems around thanking donors. Each book is just a few pages so you can read it fast and get started right away! 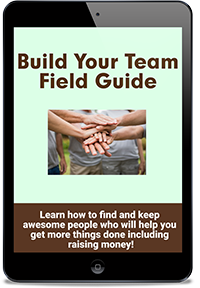 This tool will help you take action so you can get the absolute most from this Field Guide! Sandy Rees is a coach/trainer who specializes in showing nonprofit leaders how to fully fund their programs so they can spend more time changing lives and less time worrying about money. Got questions? Prefer to order over the phone? Call our office at 865-657-9915 9-5 eastern.